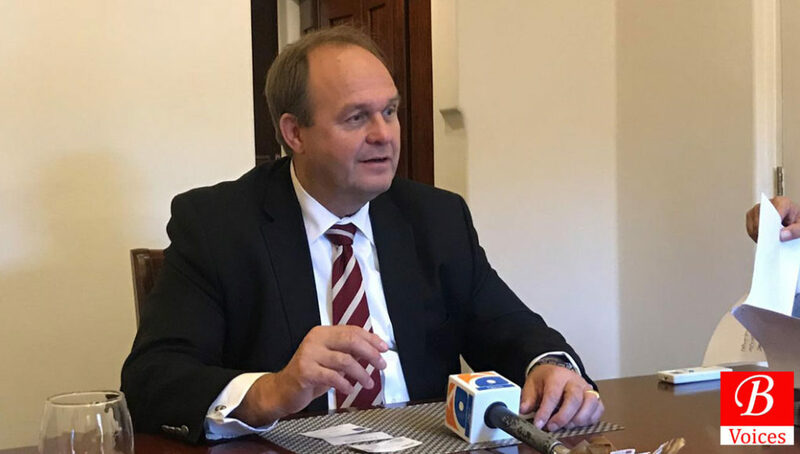 Quetta: German Consul General in Karachi, Eugen Wollfarth, has said that Government of Germany will continue supporting development of Balochistan. He made these comments during an informal conversation with a group of journalists in Quetta, on Wednesday. Consul General of Germany in Karachi was visiting Quetta as a part of his introductory trip to Balochistan after assuming office on 27th July this year. 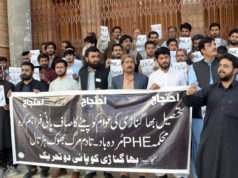 “Germany will keep on supporting Balochistan in the areas of technical education, Child health and also in higher education if necessary,” He said. Consul General Wollfarth said that German government will do what it can but ultimately it’s the people of Pakistan who have to develop Pakistan. Addressing a question about China-Pakistan Economic Corridor (CPEC) project, He said that CPEC is a very important project and it can make Pakistan peaceful and prosperous if executed in the right way. Speaking about higher education scholarships, Consul General Wollfarth said that DAAD scholarships are available to study in Germany but it will be really tricky for German government to allocate scholarships for a specific province like Balochistan. Earlier in the day Consul General Wollfarth visited Children Hospital Quetta and also held meetings with Chief Minister and Governor of Balochistan.